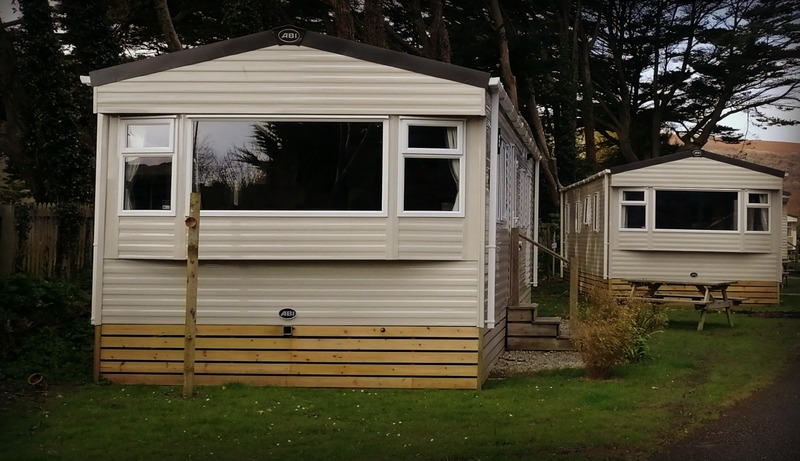 An upmarket resort near the fantastic Mawgan Porth beach, The Park Mawgan Porth is a holiday park with a difference. 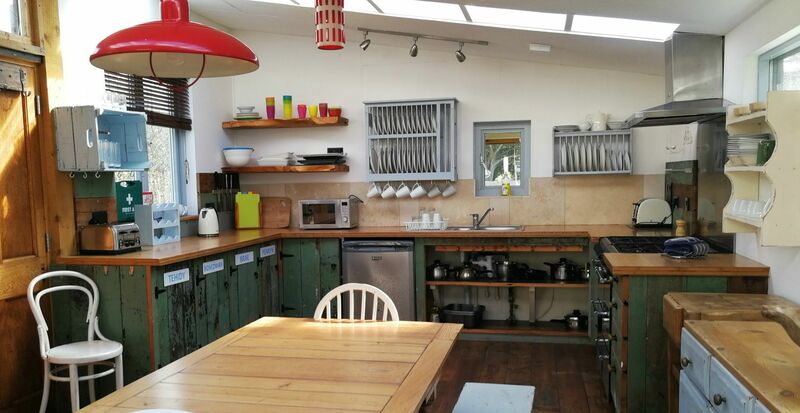 It offers a self catering experience in Cornwall that is so flexible it makes it perfect for many occasions. I’ve been here with groups of friends and also with family. You can take a dog, or not. You can stay in a yurt, or a caravan, or a cottage or a luxury lodge. Stay for a week or less at certain times, we could even choose own own arrival day. Make it a family friendly holiday or a kid free break. Cook for yourself or dine out. Invite friends to join you at the restaurant or pool. 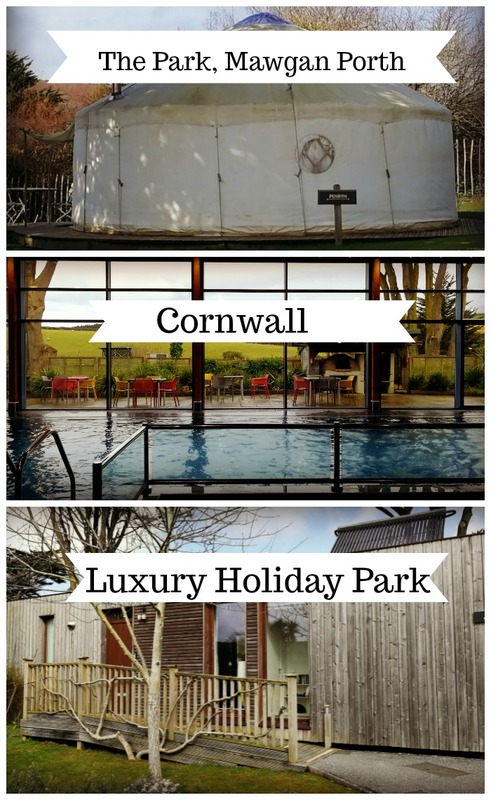 For luxury self catering Cornwall with plenty of flexibility the Park is bound to have something that suits. Fabulous though the weather in Cornwall can be, we’ve all been in the position of trying to entertain the kids on a rainy day #noteasy. Here is where The Park plays its trump card – the indoor pool. Cleverly designed so it looks out over the fields around, my kids were in here every day. A small steam room and sauna and the aesthetic appeal of the pool made this a great place to spend some energy. Non-residents can also use the pool for a charge so if you want friends to join you for a swim they can. In the summer there is an open air pool in a wonderful spot. On a previous trip I spent a whole day lazing around the outdoor pool with friends – what a luxury! 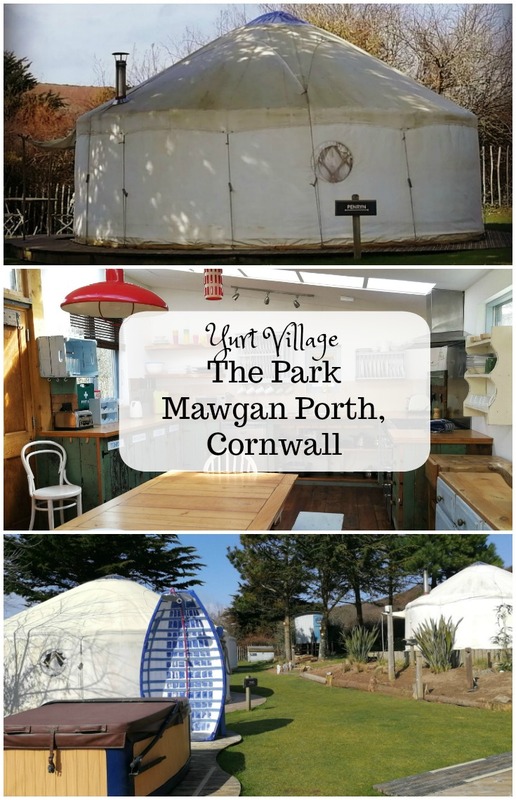 I stayed in the yurt village with friends and it was fantastic! The village has its own hot tub, communal indoor cooking facilities, a communal central yurt, bathroom facilities in a shepherd’s hut and a firepit. We had such a lovely time hanging out together, chatting, sharing a bottle of wine and just enjoying being outside, interspersed with trips to the beach and the outdoor pool. We had a day off work either side of the Easter weekend so wanted to stay in Cornwall Thursday to Tuesday. This is impossible at most holiday parks and cottage rentals where you have to book for a whole week, Friday to Friday or Saturday to Saturday. This would mean that we wouldn’t have the whole of the Easter weekend in Cornwall and would have had to take more holiday or pay for a longer stay than we needed. Not the case at The Park! We were able to choose our arrival date, were not restricted to a Friday or Saturday arrival and also choose to stay 5 nights. Holiday logistics of arrival dates and number of nights may not be the most scintillating of topics but it can make a real difference to your break. Check with The Park which weeks this arrangement applies to (it may not apply in all school holidays, but it did at Easter). Lots of people love taking their dogs to Cornwall and The Park has plenty of dog friendly accommodation, fantastic for families who want to take their much loved four legged friend on holiday. For us though, not only do we not have a dog but we have a family member with dog allergies. We were able to book a cottage that was not listed as dog friendly (Koweth) so we could be sure it would be dog hair free. I’m sure all the accommodation is spring cleaned fantastically after every guest but if you have a dog allergy you have to be extra careful. It’s great that both dog lovers and dog-allergy sufferers can get accommodation to suit them at The Park. 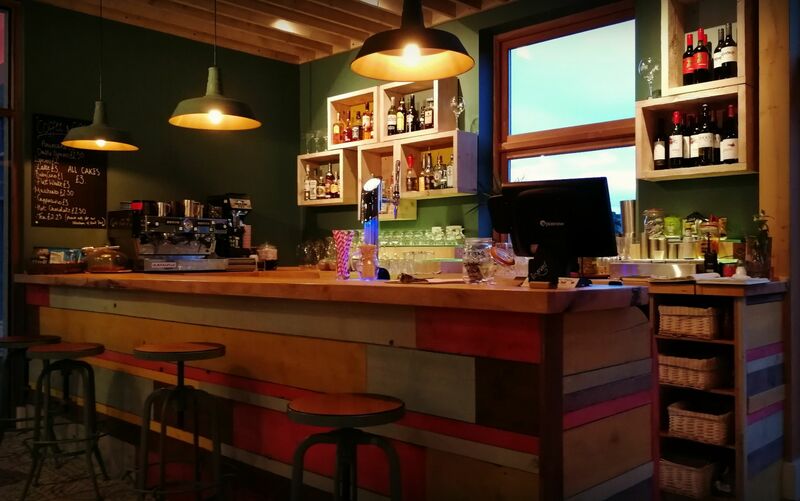 The Park Mawgan Porth has its own bar and restaurant, The Kitchen By the Beach which overlooks the indoor pool. Modern in design using reclaimed wood, it is open for meals and drinks. Cosy up next to the log burner in the winter or sit outside on the patio in the summer. We loved the seafood. It’s great to see mussels on the children’s menu as my daughters love these and always snaffle mine, although I have to say they did the same with the scallops! One of the great things about The Park, Mawgan Porth is the variety of accommodation available. 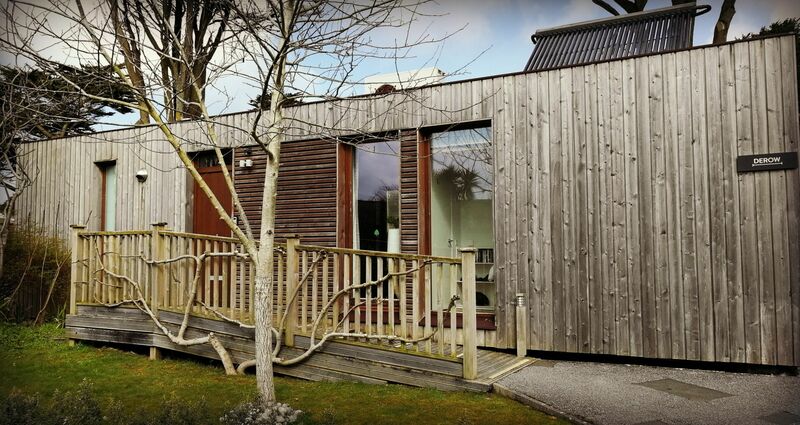 From lodges to yurts, caravans to cottages you can choose whichever option suits you best. I’ve tried the cottages and the yurts. They are a very different experience. I loved the yurt in summer and the cottage in spring. The Park has a couple of children’s playgrounds and a large trampoline. Over the Easter holidays they arranged an Easter Egg hunt, very popular with all the children on the site! Craft activities, visits from an owl sanctuary, an animal sanctuary and forest school were on during our visit. You are spoilt for choice with Mawgan Porth as a base. 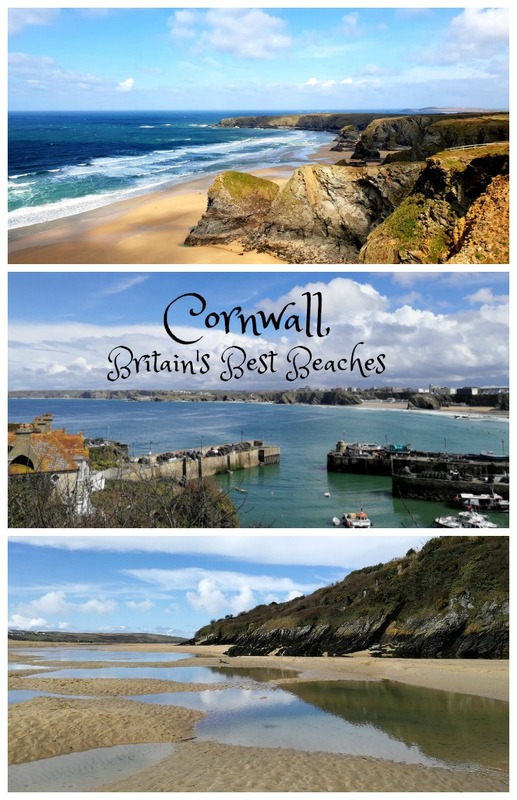 We love the beaches at Crantock, Watergate Bay and Porth. The views at Bedruthan Steps are simply stunning. 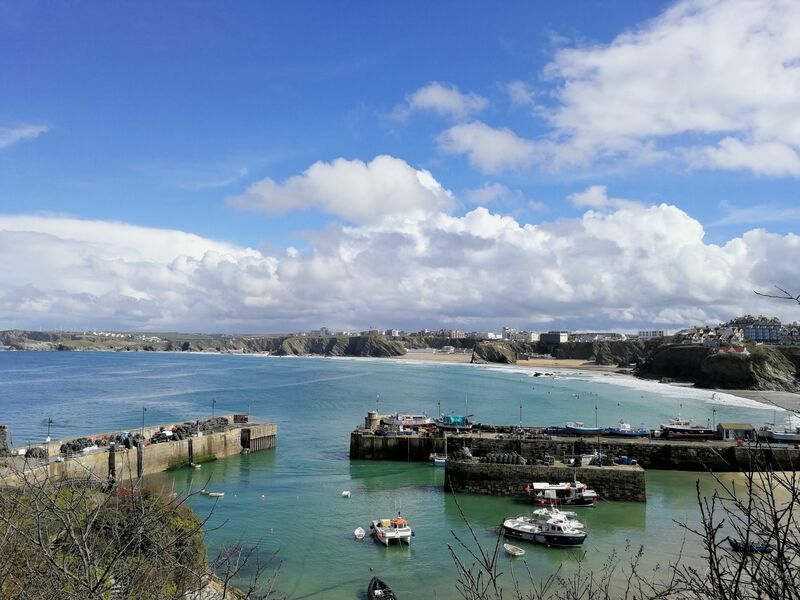 The towns of Newquay and Padstow have things to do on a rainy or sunny days be it boat trips, crabbing, Newquay Zoo, restaurants, shops and bars. The Eden Project and the National Trust’s Lanhydrock House are a short drive. Newquay has the town beaches of Fistral, Lusty Glaze and Tolcarne. Surfing is of course available just about everywhere in north Cornwall and our children have done surfing lessons at nearby Watergate Bay. 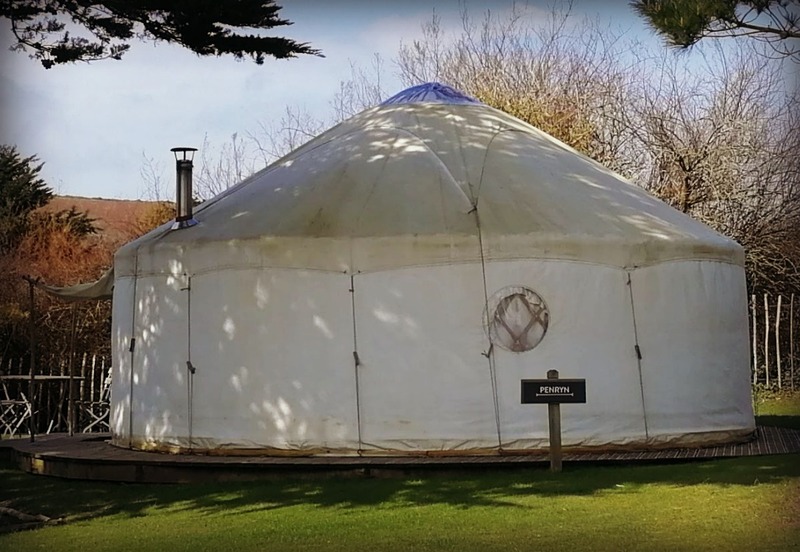 We had a wonderful spring break at The Park Mawgan Porth and I’m sure we will return in the future – after all, I haven’t tried the lodges yet! This post is in no way endorsed or sponsored by any of the organisations mentioned. All photos and words are the author's. Its great that the beach is so close! I also love the view from the pool, almost looks like your swimming outdoors! I love Crantock beach its hugeeeee! This was one of the first beaches we went to with baby Noah! I remember having a tooth ache the entire weekend – think it was tonsillitis haha. We love it there too! The airstreams are long gone I’m afraid! The Cornish sea air didn’t agree with them! I’m pretty sure I have passed this site when walking the coast path with friends. 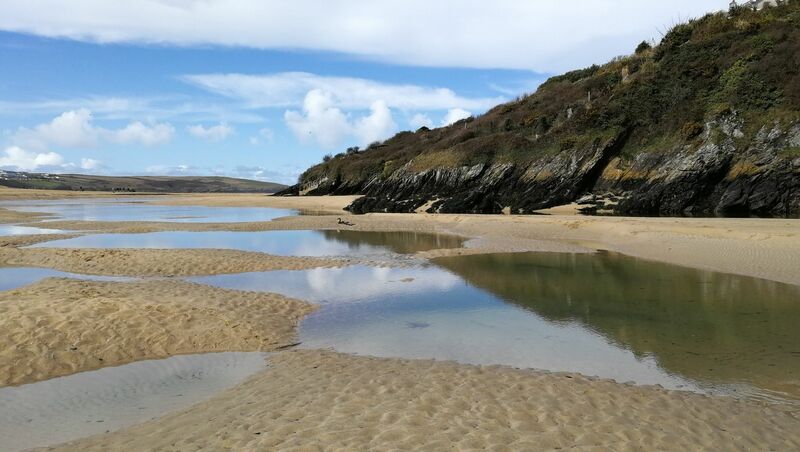 It is certainly set in a beautiful spot just south of us and the beach at Morgan Porth is typical of the North Cornwall coastline with beautiful sandy beaches and rolling waves, it is one of the real draws of living in this area for me. The Caravan park looks a great holiday base and it sounds like they have some fun activities organised for the children staying.